Always having to say ‘good-bye’ is, for me, the hardest part of the cruising life style. This morning I cried when we waved adios to our dear friends, Patrick and Celine, aboard Viola! Patrick’s conch shell sounded a long, mournful ‘so long’ just as the sun was peaking over the rugged mountain range to the east. Over the past 2 years, we’ve met many couples on many boats and inevitably parted ways for differing destinations. 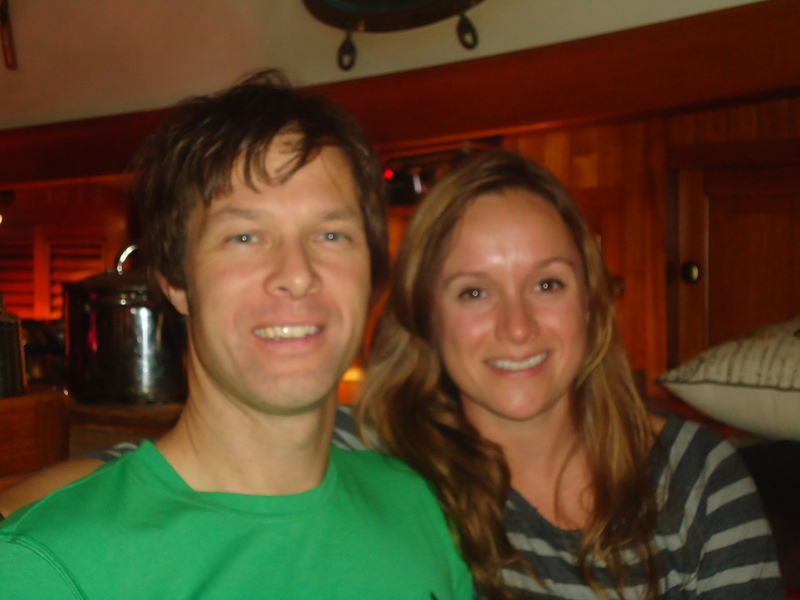 Patrick and Celine will be leaving their boat and driving their motor home to Quebec for the summer. Two months into this voyage, I cried to my father-in-law, “I miss you guys!” The next day we met Cass Sinclair and John Enders, aboard Victoria, in Morro Bay. He let us raft up alongside his boat when others had turned us away. Cass is famously known as my first female friend. We practiced yoga together there and later in Santa Barbara. After many months together, we said good-bye to John and Cass following a lovely day poolside at Paradise Village, Puerto Vallarta. After all the hoopla of the first Ha Ha, our crew, Alex and Krista, flew back to Oregon. I cried again, feeling sad and alone. 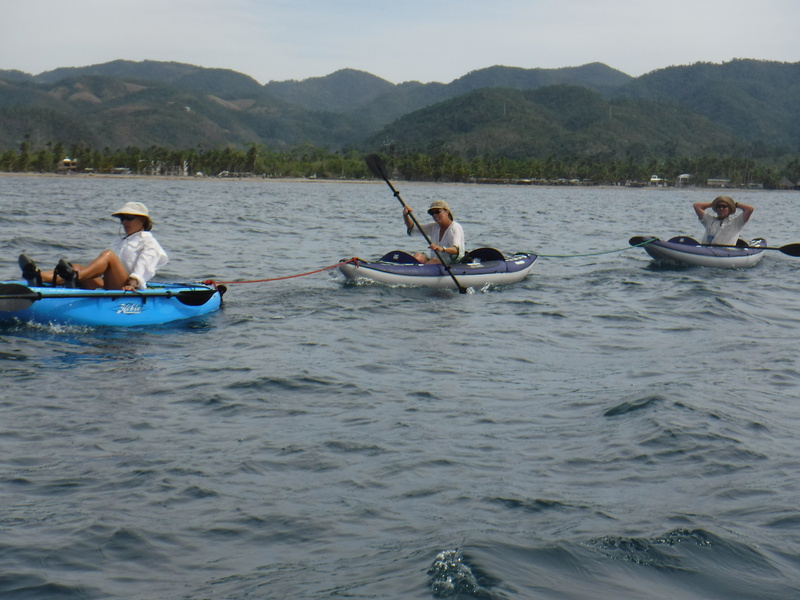 Later that evening, anchored in Los Frailes, Ed and his son, Jake, dinghied over to say ‘hello.’ Ed’s wife, Melinda, swam over from their boat, Lorien, anchored nearby, and treaded water next to us for over half an hour. 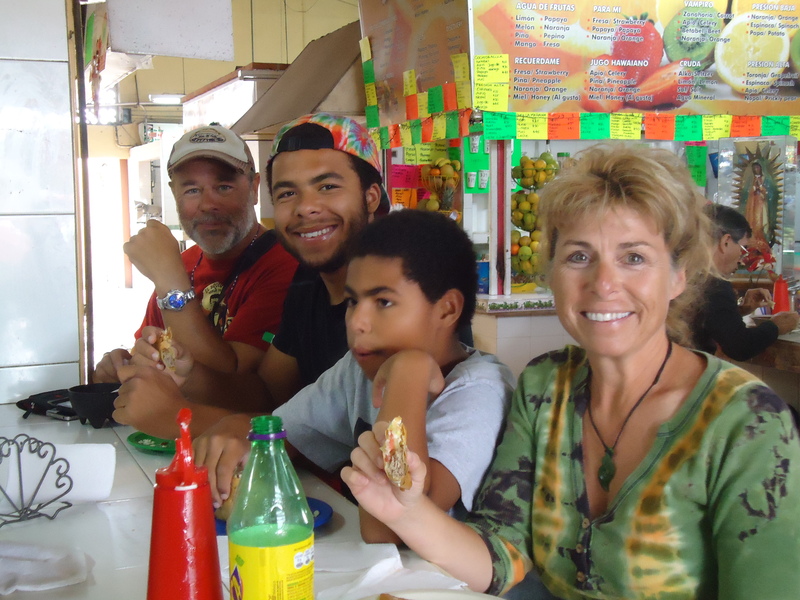 For several months, Ed, Melinda, Jake and their older son, JD, and we played Bocce Ball on the beach in Ensenada Grande and the entire family attended my yoga classes each morning at 9:00 am. In the spring, they left to sail to the South Pacific. We followed Mark and Deanna, aboard Speakeasy, all the way to Zihuatanejo. There we were introduced to the Mexican tradition of lively music and colorful dancing in the town square each Sunday evening. Entire families, children, aunts, uncles, and grandparents come out to join in the festivities. We had wonderful dinners aboard Mark and Dee’s 42-foot Manta catamaran. Peter helped Mark retrieve a wayward anchor from the bottom of the bay in La Cruz. Deanna walked with me many tearful mornings in Tenacatita, comforting me after my skin cancer diagnosis. 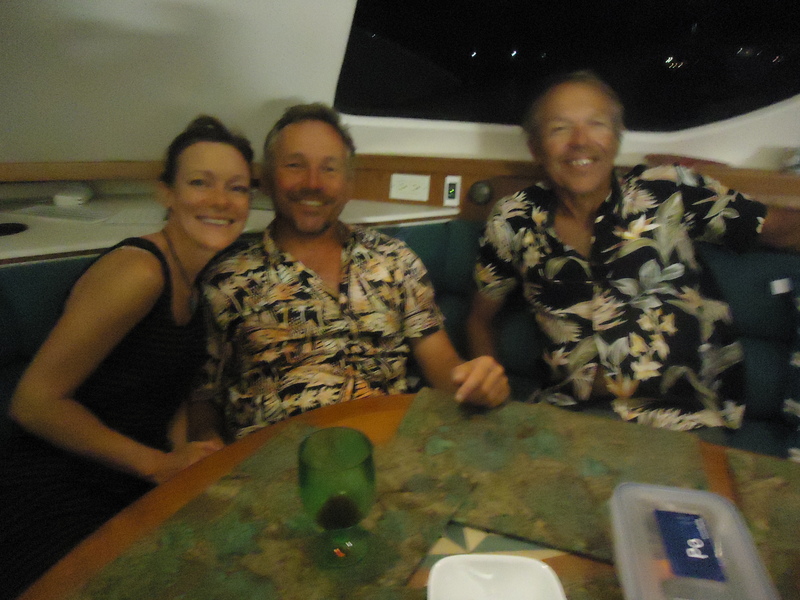 We said good-bye to Mark and Deanna in La Cruz just before their 19 day, 19 hour voyage to the Marquesas. The list goes on and on. So, how do I reconcile the joy of making new friends with the loss of having to say good-bye? I always think that people come into our lives for a specific reason and for a specific season, we learn from them and they from us. Some weave themselves in and out of our lives while others are a single thread in the colorful fabric that is our life. Don’t be too sad Susan, enjoy the memories and look forward to the next wonderful experience! with modern technology friends are never far away….hugs to you girlfriend! !